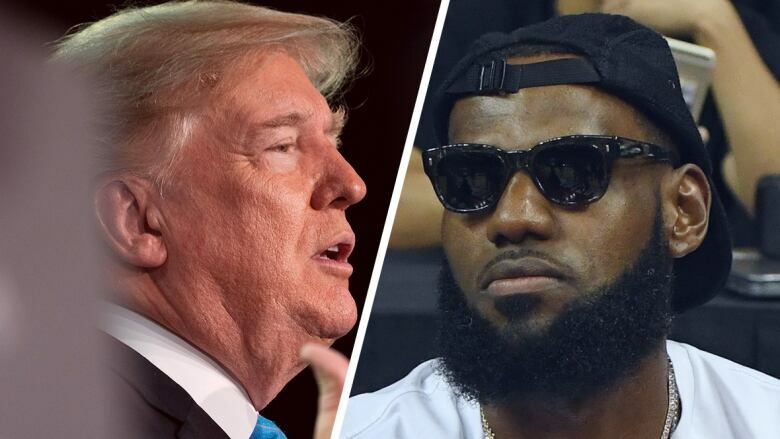 Trump blasted James after seemingly watching an interview the former Cleveland Cavaliers star did earlier in the week with CNN anchor Don Lemon in which he deemed Trump divisive. Although James has long been a Trump critic, calling the president "U bum" in a 2017 tweet, the Friday night tweet was Trump's first attack on the player, who just opened up a school for underprivileged children in his hometown of Akron. Rather than criticizing <a href="https://twitter.com/KingJames?ref_src=twsrc%5Etfw">@KingJames</a>, we should be celebrating him for his charity work and efforts to help kids. <br><br>By the way, all-around he’s better than Michael Jordan. That’s a fact. In the interview, James said he "would never sit across" from Trump, though he would talk to former President Barack Obama. James' publicist declined to respond to Trump's tweet, but early Saturday afternoon, James retweeted a post from the "I Promise" school and said, "Let's get it kids!! Love you guys." Lemon responded to the president, invoking both the administration's forced-family-separations policy and first lady Melania Trump's social media etiquette campaign. James played for over a decade — and in two stints — with the Cavaliers and delivered a title to the championship-starved region in 2016. Although he departed for the Los Angeles Lakers earlier this summer, the superstar remains very popular in the Buckeye State, and Trump's attack could be a gift for the Democrat in the congressional race that Trump is weighing in on Saturday in Ohio. "I don't have to tell what LeBron James means to Ohio," Democrat Danny O'Connor tweeted.